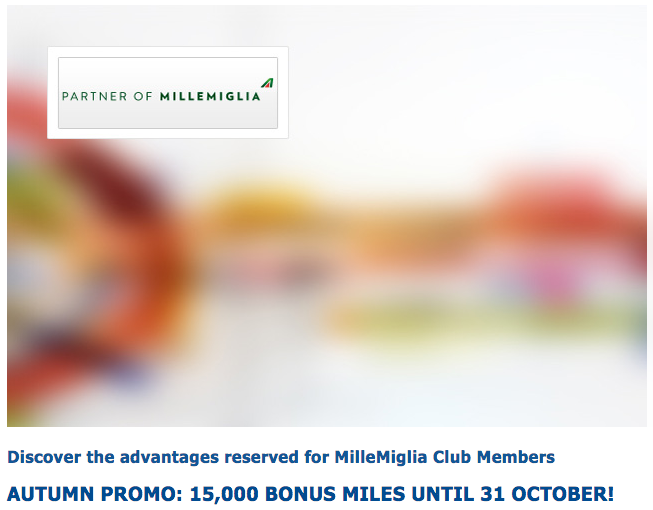 Great one time car rental bonus of 15,000 miles in Italy but for a risky program! 15,000 Miles will get you one way flights between Italy and most of Europe in Economy Class and even business class between Rome and Milan. 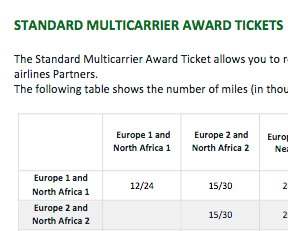 On partner airlines you’ll get most of Europe and Even North Africa to choose from. There aren’t many terms attached to this promotion other than it is only valid on your first rental and the rental must start by October 31st. No minimums from what we can see other than you should make sure the rental is long enough to earn the base miles which is typically a day, however it may be even possible to rent for less than a day to get the miles. There isn’t even a minimum car class, so by all regards you should be able to rent the cheapest car possible for a day and get the 15,000 miles + 600 base miles. Now here’s the risky part. Just in case you don’t know, Alitalia is in dire straights financially and they are up for auction for someone to take over the airline that loses millions of Euros each day. Depending on what happens with the bids there is the possibility of Alitalia not being the airline it is right now and the MilleMiglia program might get scrapped. No one knows what will happen but ideally if you want to give this a shot we would recommend getting in on a rental in Italy sooner than later and as soon as the bonus miles post book a reward flight for not to far in the future (ie before the end of the year) or onto one of their partner airlines should Alitalia collapse. What do you think? Will you risk it and go for this bonus to try to score a flight?